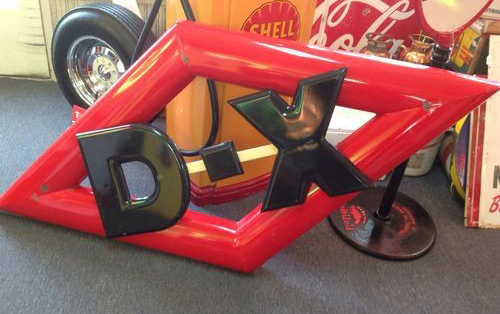 This is a great 3D sign for D-X. The sign measures 80″ by 39″ and is red and place. On top of a red diamond is the text that reads “D – X”.